The couple who were married for only 15 months, called it quits and agreed to settle. In some cases a messy divorce can affect the careers of one or both parties, however in this case both parties have been working on projects that are due in 2018. Depp has always been considered a well accomplished actor, who can easily mould himself into very different roles. The star has a number of projects that include The Invisible Man and he is voicing a character in the Gnomeo and Juliet sequel. Therefore the divorce scandal doesn’t seem to have affected his work to any degree. The pair recently reached a settlement in their divorce as the actor agreed to pay his former wife $7 million. Amber was happy to sort the divorce with a settlement as she wanted things to be over as the relationship and divorce had taken an emotional toll on her. Depp was also hoping for a settlement as Amber had filed a restraining order and therefore Depp was sure that a settlement was in play. 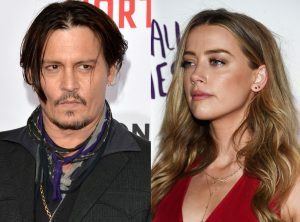 Amber is happy that the divorce has been finalized and she hopes that Depp will get the help he needs.